Whimsical Halloween home decor decorations by Patience Brewster. She introduces a new design each year for Halloween. Be sure to explore my other pages on Patience Brewster listed below and visit her website. Patience Brewster used to be featured at Dept. 56 stores but a few years ago she decided to go solo and be in control of all her designs and where they are made. Her family helps her out in this endeavor. You can purchase her items at many places on the Internet and Amazon.com is one of them. 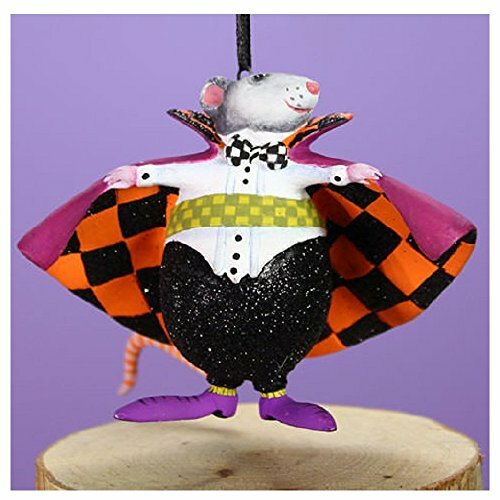 Big or small Halloween decorations by Patience Brewster, the book illustrator that has brought her whimsical people and animals to home decor. Enjoying her books has been a tradition for some families for over 25 years. Her first career was illustrating books with delightful paintings that parents shared with toddlers and young readers. Colors, animals, plants of the storybook world delight many today too. 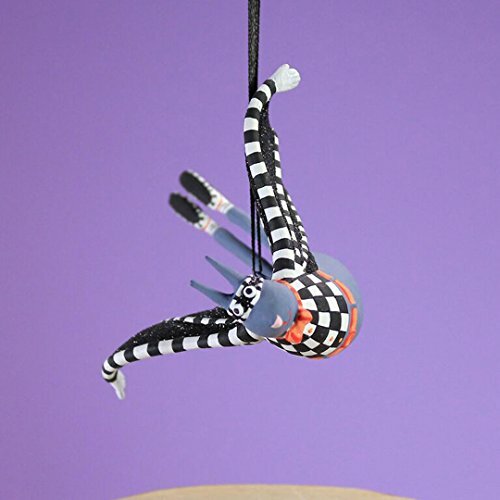 Patience Brewster grew her horizons, as all artist people do, and now creates figurines, ornaments, and vignettes that continue to delight fans. This showcase is highlighting Halloween, a favorite time of year for so many today. 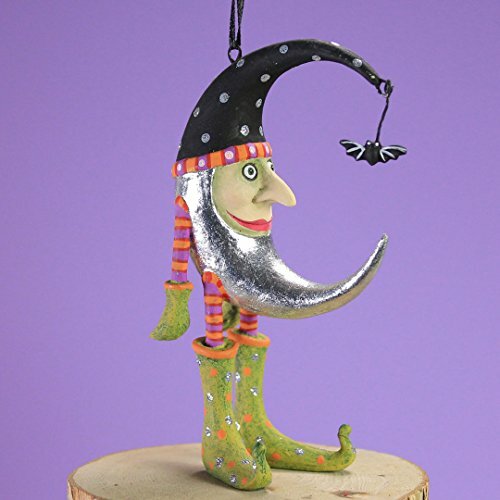 Dark and dreary, but fun and scary, these Halloween touches for the home will spark fun in the house every year. 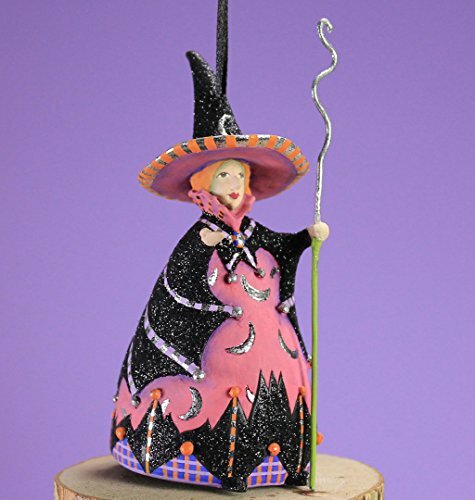 Bring out the black, orange, purple and shoes and celebrate Halloween with Patience Brewster. Shop for Patience Brewster Nativity any time of the year. Cards are a special artistic pursuit of this artist and her greeting creations are offered on her official website. To see the cards in stores that carry her items go to the Official Store locator of Patience Brewster. She has 6 greeting cards just for Halloween. Your search for her greetings will have to go wider. Her official store has them. Take note, there is a $30.00 minimum to order. Patience Brewster is an artist that truly found her artist-self as she explored her life through drawing, painting and designing. Her story is a journey that actually delved into the printer's deadline and satisfying book writers and publishers. Her story is an inspiration to all artists and can be read at her official Patience Brewster website. Explore her interesting website. Ms. Brewster shares her artist journey and she offers a section on advice experienced by her many years working as an illustrator and meeting the dreams of all the actors in the publishing business. She is a very practical artist and shares the trials all artists can meet up with. Her latest horizon was starting Patience Brewster, Inc, in 2009. I hope the best to her, and her family who share in her business journey, in the years to come. I hope this was an enjoyable read. Is Patience Brewster new to you? 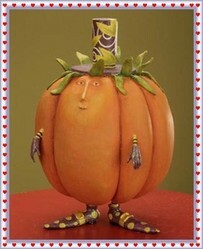 paperfacets, The hats and shoes make me think of L. Frank Baum's Wicked Witches of the East and of the West. I love the bats! Her art is very sweet. Thanks for the introduction.